With large capacity, it can hold a lot of personal goods! 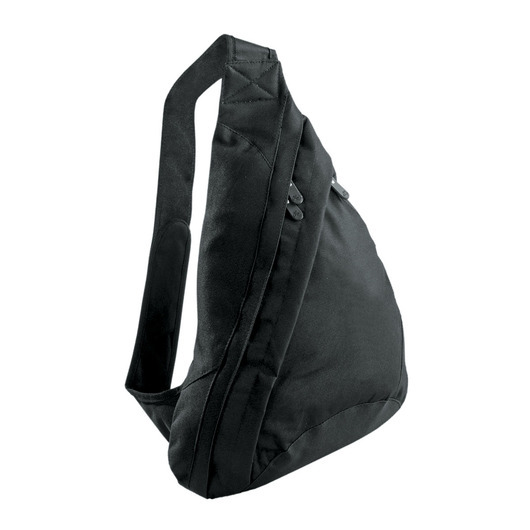 This sling backpack is designed for getting to the train, catching the plane or meeting friends. Ideal sling backpack for your daily life. This sling backpack is light and strong, made from 600D polyester with PVC backing with a carrying capacity of 10 litres. It features a single zippered front pocket, double zippered main compartment, and a adjustable fabric shoulder strap. Perfect as travel backpack, carry on luggage or street/urban style daypack. Great pack for both lefties & righties. Comfortable to carry on long treks.